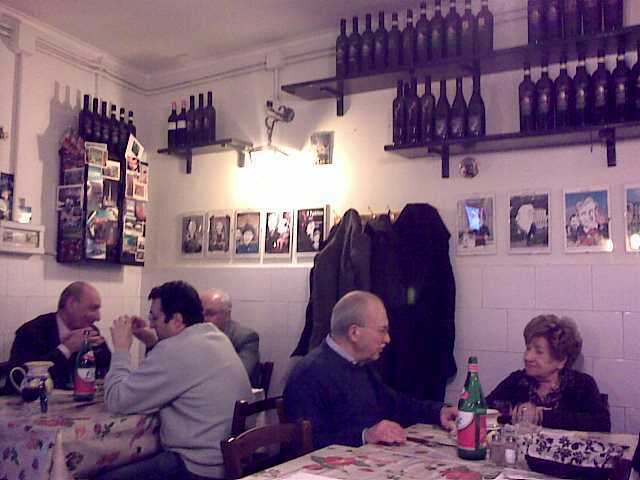 Travelaggio: La Taverna del Buongustaio. Restaurant in Naples (Napoli), Italy. 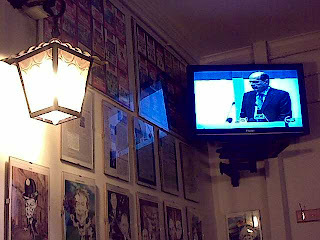 La Taverna del Buongustaio. Restaurant in Naples (Napoli), Italy. You are unlikely to come here on your own initiative. The place seems not to be a tourist attraction. We were brought by our guide. There are few tables - it's better to book. Very simple, oilcloth on the tables, cartoons on the walls. Orders are accepted by the owner. Salvatore - his name. He also makes fun of the guests and brings dishes. Be ready with all your Italian knowledge (note in Napoli Italian is a special one): there is no written menu. You will be told about every course in detail. Whether you'll be able to understand is quite another question. Frankly I don't remember what exactly we ate. Absolutely sure white vine was above enough. May be that is a reason. Everything was tasted and from each other as well. By the way after pasta unanimously ordered main course. Delicious and with home atmosphere. Costs are 70 Eu for 4. PS An oldman entered. 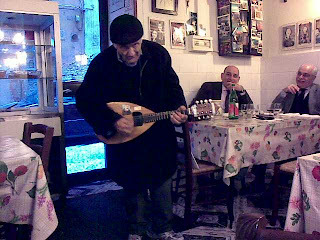 Played his mandoline, got some coins and left. Seemed frequenter. PPS Contacts, as promised here. 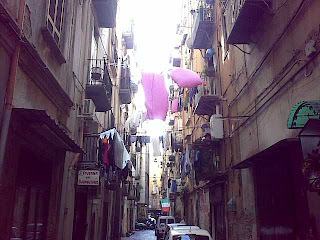 Via Basilio Puoti, 8 - Napoli. Tel. 0815512626 Cell. 3386707731 Do nit forget to dial +39 . Phone photos - dslr was provocative to pull out - too intimate around.